Although they are cute and playful, and sometimes it’s actually relaxing to watch how they play, yet we must not forget that they are rodents and that the insistence and curiosity that characterizes them, make them to crumble many objects, whether they are eatable or not. They can even nibble plastic or metal to reach the source of food. So, squirrels are part of the pest category and you should avoid these rodents to build their nest near your home because they can bring you aesthetic, economical and sometimes health problems. 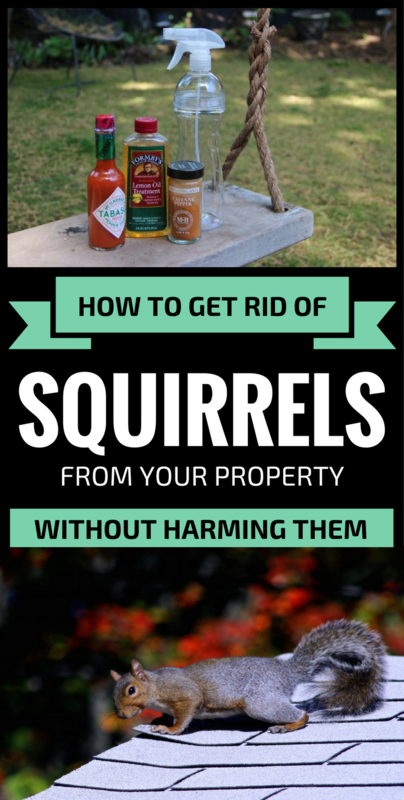 Get rid of any food sources on your property, so squirrels not to be tempted to step into your territory. Avoid having squirrels favorite food like nuts, walnuts, berries, acorns and bird seeds. Keep your garden and yard clean both inside and outside. Protect your garden with a wire fence, high enough for them not to be able to jump, and deep enough into the earth, so that they can’t dig to come in. Use natural-based solutions to keep squirrels away, because such products don’t harm the squirrels. Sprinkle black pepper or cayenne pepper around your garden and they will keep away from your property. Also, cat and dog urine is a natural solution to keep squirrels away. If you’ve caught a squirrel and you want to get rid of it, you have to take it at least 10 kilometers away from your house, because they will always find a way to come back.